This update will also be available in Contract Management Magazine, which is published monthly by the National Contract Management Association (NCMA). To read the newsletter, please click here. Receive our latest blog posts by email. You can unsubscribe at any time. 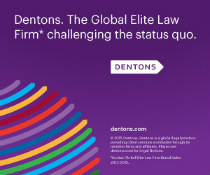 Email messages will be sent by Campaign Monitor on behalf of Dentons.